A cozy & delightful gem tucked into our nursery...a place to roam, wander & smile. We have an array of unique gift items for the gardener in all of us. From the practical to the elegant & the whimsical, you'll find the perfect gift to give to someone special or to give to the very special you. 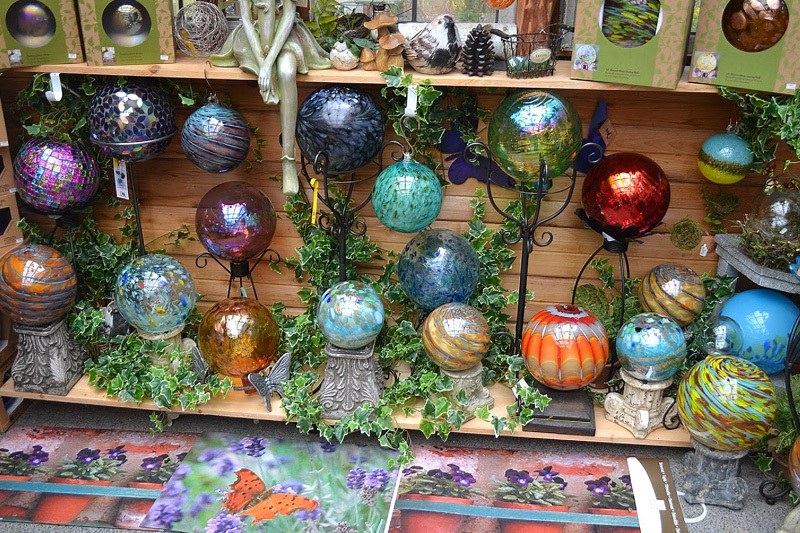 We have a vast & wonderful assortment of birdfeeders, water stations & nesting boxes, all functional & beautiful. Hummingbirds you ask? We have everything a hummer could ask for & more. These beautiful divas of the bird world will be a main fixture year round given the right environment to flutter about in. Should you have any questions regarding how to attract & keep birds in your gardens, just ask & we would be delighted to talk with you about your options. We carry an incredible lotion line called Naked Bee. Once you use it you'll be hooked! Our gift shop is one of the few places in the area you can find the Naked Bee line. Gift Certificates ... an awesome gift for anyone & one size fits all !! Our gift certificates never expire & can be used year round by the person lucky enough to receive one.